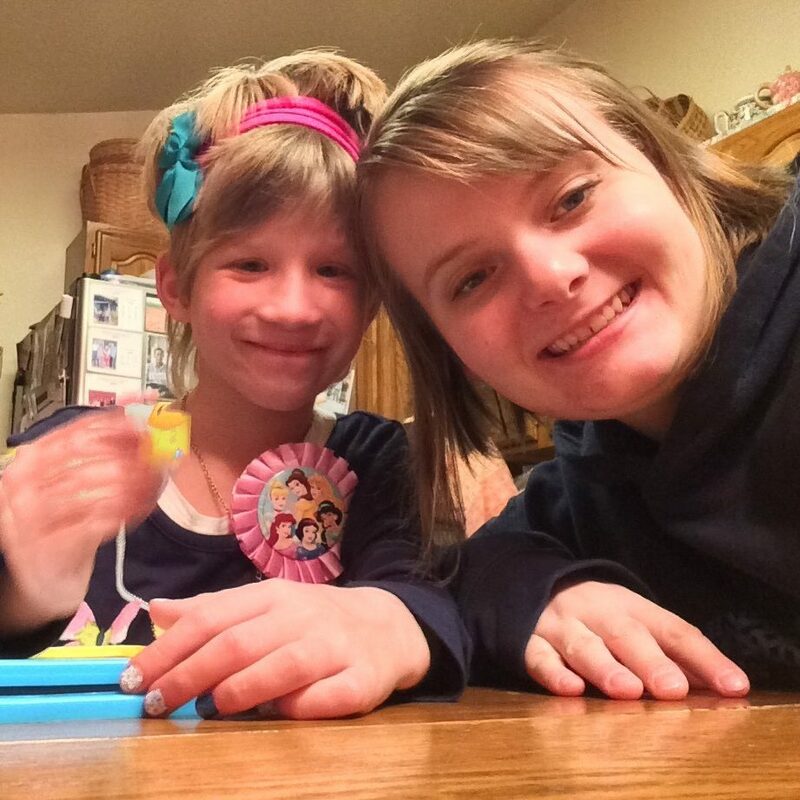 Today’s post is written by Lindsay Schuiteman, an adoptive sister. 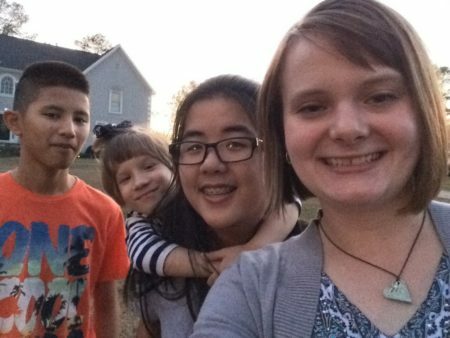 She shares her experience as a sister to three siblings through adoption. As a child, I couldn’t have pictured my life any better than it was. I had an older sister, Alisha, with whom to do girly activities and bake cookies. I also had a younger brother, Wes, with whom I watched action shows and talked about superheroes. My parents, Dale and Camie, loved us very much, and we lived within a fifteen minute drive of grandparents and extended family. Life was comfortable. When Wes started praying for a brother, my parents took it seriously. They decided to adopt a little boy. Of our immediate family, only I was not instantly taken with the idea. It wasn’t long before my parents decided to adopt a little girl too. It took some time for me to accept this unexpected disruption. In fact, I recall during our home study interviews being asked what changes I anticipated once we adopted. I abstractly replied “Well, um, I don’t think much will change…” The interviewer kindly suggested otherwise. Thankfully, my attitude didn’t last. The enthusiasm was catching! We did homeschool projects studying my siblings’ birth country. Once finally matched with two children, Alisha and I argued over who would get to share a bedroom with our new little sister as we both wanted the honor. Two years later, when it was time to bring Lila and Levi home, I accompanied my family to Vietnam. Back in the USA, we had a tough first year. Lila was used to being cared for by older girls, so she followed me around constantly. Levi frequently had fits of screaming where nothing would console him. Now we laugh about some of these stories, seeing humor in hindsight, but in the midst it was very difficult. Fast forward eight years. My family received a call to participate in MLJ’s Ukraine hosting program. Another family had stepped out, and there was a Ukrainian girl who needed a host family. My parents agreed, just hoping to give her a wonderful experience. Instead, we had a wonderful experience. It didn’t take long to decide we wanted her in the Schuiteman family. In 2016, we brought Julia home from Ukraine. After our first adoption, Alisha made a statement I will never forget. “You don’t realize how selfish you are until you have to share everything you have.” So true! Looking back, the adoptions of all three of my siblings have acted as catalysts of personal growth in my life. I am so glad the home study interviewer was right and I was wrong! While I could easily fill a notebook with the many ways adoption has impacted me, three things especially stand out. First, as Alisha’s statement eludes, adoption moved my thoughts beyond “me”. Adoption requires tremendous sacrifice, the act of giving up something valuable for the sake of something else more important. This looked like laying down privacy and personal space, peace and quiet, and time: time instead spent babysitting, helping do increased laundry, or washing extra dishes. Additionally, there are wide age gaps between my siblings and I. Building relationships required things like playing legos and putting together My Little Pony puzzles. Through adoption, I have learned that the sacrifice of my desires for the betterment of others produces unforeseen blessings. Not only did our adoption help me cultivate selflessness, but I have gained a depth of compassion that would not otherwise exist. Nothing can describe how heart-breaking it is to watch your siblings struggle with the frustration of learning a new language, wondering why they were given up, or shrinking away from a hug because affection has rarely been expressed to them. Now, I see only the wonderful people they have become, and my heart breaks for the millions of orphans worldwide without hope unless they too are adopted. Lastly, adoption widened my perception of the world. Until we adopted, my world consisted of a small portion of Midwestern America. The concerns of the globe at large existed only in school textbooks and on the evening news. Once we adopted, the world suddenly became a big place! I returned to Vietnam once in high school and college, and have been to four other foreign countries as well. Now, I work for an international mission organization, and I can directly attribute the fantastic path my career has taken to the adoption of my siblings. I don’t know what your adoption journey looks like, but I know this: Adoption changes people permanently and irretrievably for the better! My family’s adoption story has shaped me into a more selfless, more compassionate, more involved person than I could have been otherwise. Had my family ignored the call to adopt, I know I would be a very different person today. As a child, I could not have pictured and did not desire anything but what I already had. Now, I am deeply grateful that my world was shattered in a wonderful way by adoption. 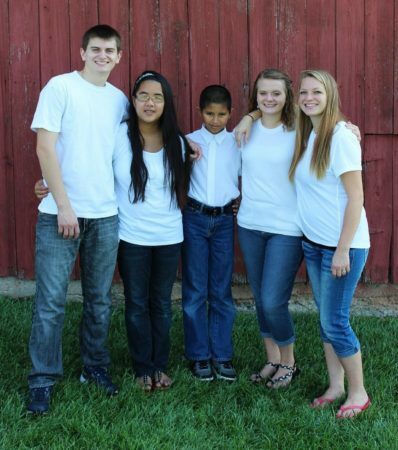 Adoption changes the life of the adopted child with the added blessing that the adoptive family changes forever too.